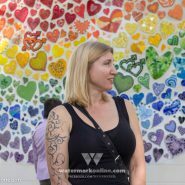 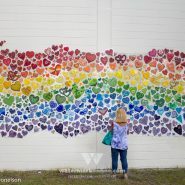 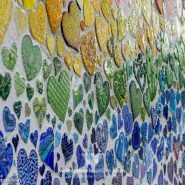 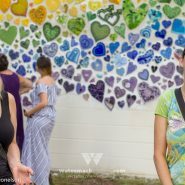 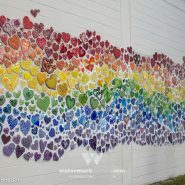 ORLANDO | The Diversity Mural, a rainbow made from more than 700 mosaic hearts, was dedicated to the city of Orlando Sept. 21. 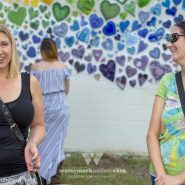 The mural’s mosaic hearts, installed on the side of The Lamp & Shade Fair building at 1336 N. Mills Ave. throughout the month of August and September, were made by people across the U.S. and several other countries throughout the world. 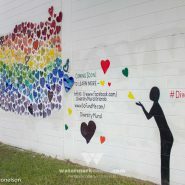 To represent diversity, no two hearts in the mural are alike. 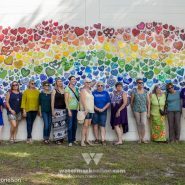 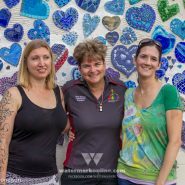 The mural was created by Jennifer Kuhns, in collaboration with Orlando artist and owner of Luna Mosaic Arts, Cherie Bosela. 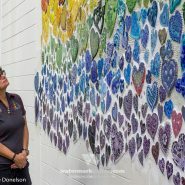 Kuhns created a smaller version of the mural at a school for at-risk teens in her hometown of Shelton, Wash., and decided she wanted to do a larger one in Orlando. 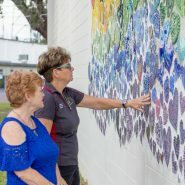 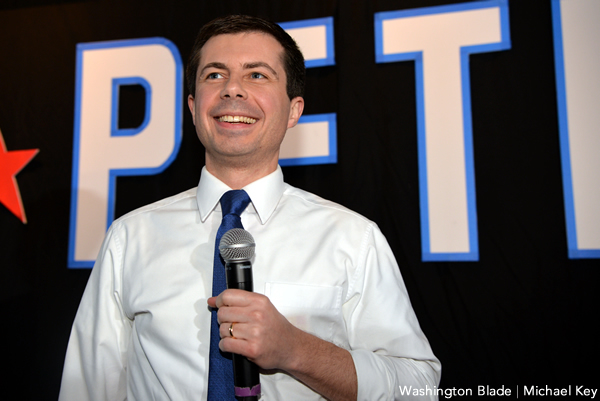 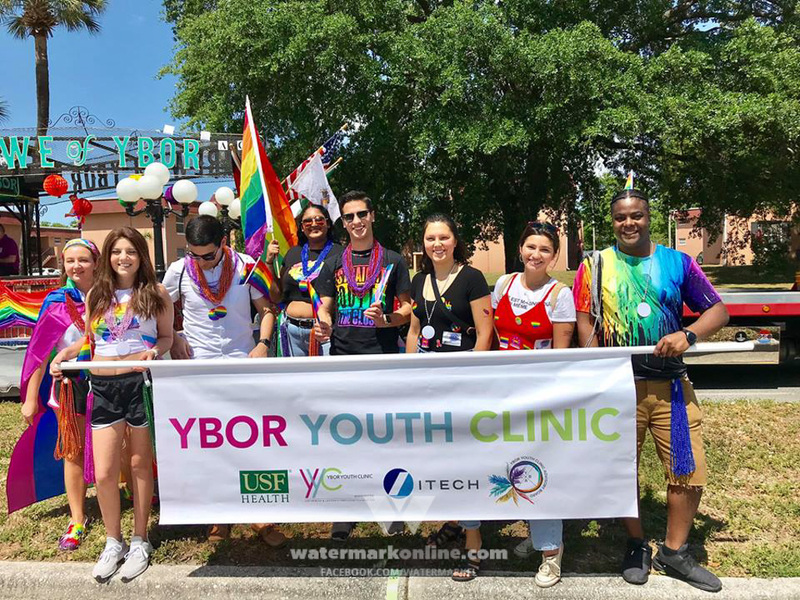 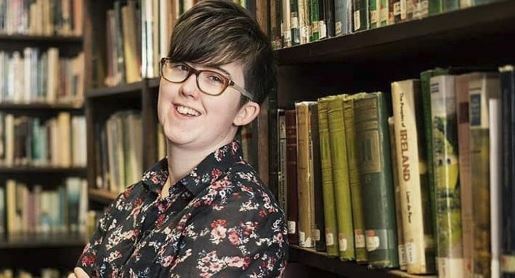 “It creates a unified voice from all over the place standing in solidarity with people who are marginalized and victimized, and feel afraid because of who they are,” says Kuhns, who was on hand for the dedication along with Bosela. 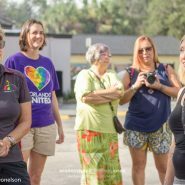 Kuhns says the Pulse shooting and the election of President Trump caused her to want to get involved in the LGBTQ community. 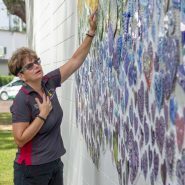 Kuhns says she had no idea it would turn into such a big project when she started. 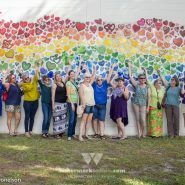 She reached out to Bosela to help her bring the mural to Orlando and Bosela enlisted local volunteers to help her install it. 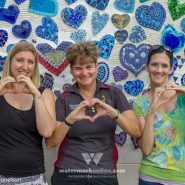 They were surprised by the amount of support they received from different parts of the world. 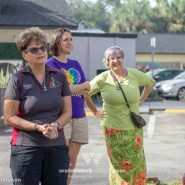 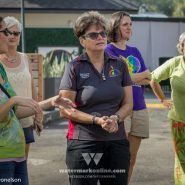 Orlando City Commissioner for District 4, Patty Sheehan attended the dedication. 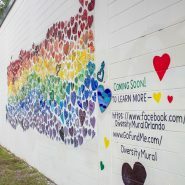 She says the Diversity Mural is an embodiment of the Orlando community following the Pulse massacre. 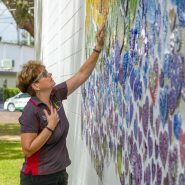 “To see all the artists who have done tributes to love, to the victims, to the families, it just really shows me that we were the victim of a horrific act of violence, but this community came forward with love and creativity with murals and art and it continues,” Sheehan says. 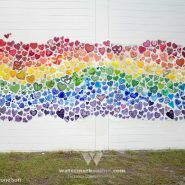 Hearts for the mural are still being sent in. 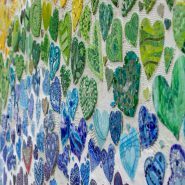 Including the 700 already installed, Kuhns and Bosela say they have over 1,000 hearts that will eventually complete the mural. 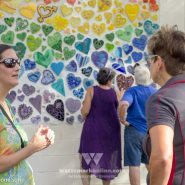 Check out the photos of the Diversity Mural and the dedication ceremony below.